The local way to stay! 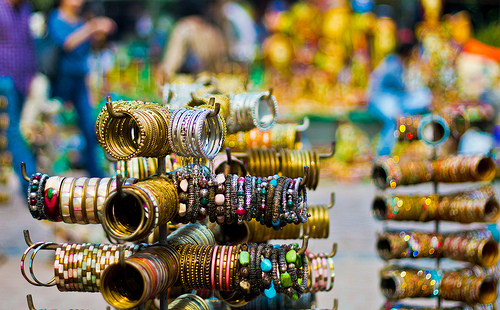 It’s About Time To Find Places to Shop in Delhi! Put on a hat, slap some sunscreen on and master your bargaining skills, you’re going to need everything you can get your hands on. Grab a girlfriend while you’re at it, and you’re all set! The ideal markets to hit are Sarojini Nagar for some insanely good export surplus at 1/4th the price if you play it right (expect lots of Forever 21 tags around). If you’re looking for funky jewelry, great bags and some hipster lanterns, Janpath is the place to be. For the trendiest things on the block (we’re talking everything from palazzo pants to leather jackets), GK’s M Block Market is the place to be. For Indian kurtas and salwars, head to Lajpat Nagar for variety, or Karol Bagh for some seriously blingy blouses. Find your inner hipster as your traverse the lanes of Paharganj, or head to Tibetan Market for high fashion at an affordable price. 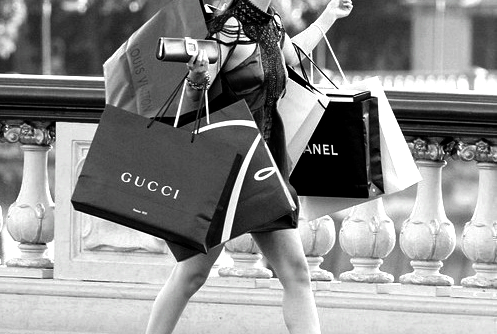 Pro Tip: With street shopping, it’s easier if you shop earlier in the day and avoid the scorching heat. Keep yourself hydrated throughout and remember to carry a big bag to stash your loot! Also, don’t be rude to the shopkeepers because then you’ll be both broke and embarrassed. Saying that Delhi has an abundance of malls would be an understatement, and we haven’t even started talking about it’s NCR cousin Gurgaon yet. Avoid the hassle of lengthy bargains and saunter into the loveliness of malls, where people are paid to treat customers well. Start from Vasant Kunj, where you’ll find not 1, but 3 high-end malls adjacently placed – DLF Emporio (for luxury brands like Louis Vuitton, Burberry, Giorgio Armani, among others), DLF Promenade and Ambience (You can find Claire’s, Mango, La Senza here). Travel further ahead to Saket and find yourself in Select CITYWALK (for the likes of Forever New, Sephora, Aldo, MAC) and DLF Place (find Marks & Spencers, Forever 21, Big Chill here). You can also check out Pacific Mall in Subhash Nagar. In their NCR counterparts, you can find a variety of brands at both Ambience Mall, Gurgaon (Sephora, Zara, Mango, Marks & Spencers, Westside, Om Bookstore to name a few) and Great India Place, Noida. Pro Tip: As crazy as this may sound, the holistic entertainment that malls provide might lead you off track. Keep a list of things ready if you have an agenda in mind. Big malls often tire people out, so don’t forget to wear a pair of comfortable flats! Where should we even begin? Putting all these lovely marketplaces under one head doesn’t do justice to their sheer magnificence. Head over to Connaught Place’s inner/middle/outer circle for retail variety (you’ll find everything from Croma to Manchester United’s official store). 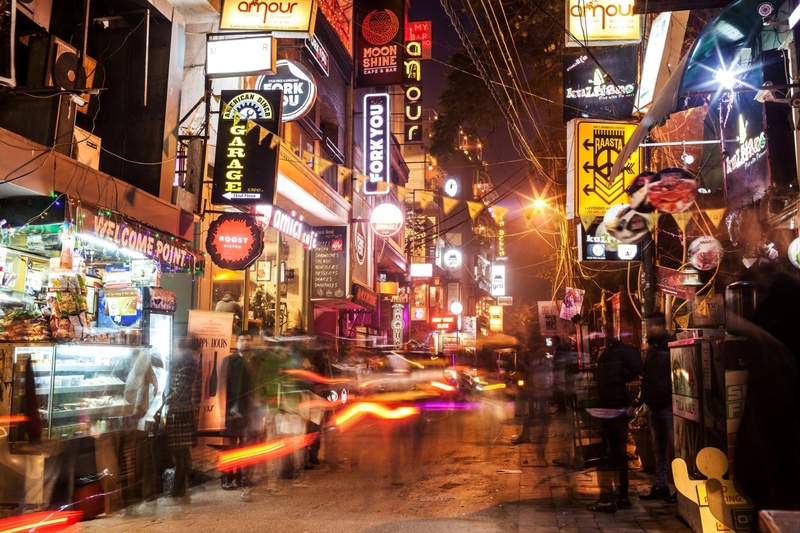 Hauz Khas is ideal if you’re looking for designer wear, where one can find numerous kitsch stores and boutiques. If you’re looking for all things tech, Nehru Place is your safest bet, where you can source computer parts and mobile covers alike. Palika Bazaar will get you some interesting goodies too. Dilli Haat is an absolute delight for days when you just feel like wandering around, picking up handicrafts and eat food from different parts of the country. For Indian wear, especially for the wedding season, Chandni Chowk will help you find great pieces of clothing and jewelry at decent prices. And finally, when you’re almost broke, go to Daryaganj’s weekly book bazaar on Sundays to find finest literature at throwaway prices. Pro Tip: Good luck not breaking the bank. We’re kidding! Exploring market areas can take time, so avoid traveling to more than one place in a day. Try keeping in mind what places you can have food at to keep away the hunger pangs and have a happy shopping experience! Tree houses that make you swoon! “Hymn for the Weekend” with a Home for the Weekend, Under Rs. 5000!